Fall may have started a few weeks ago, but Halloween is what really kicks it off for us here. The fun of picking out costumes and those sneaky toy spiders that make their way around the house, and scare me every...single...time! Ahhh, yes. Halloween is full of fun! My babies aren't babies anymore. Even the lure of candy and fun can't raise their spirits but I am determined to fill this month with spooky silliness and I know just where to start. Can you guess what it is? Its food! When in doubt, get them where it counts! Snack time is getting a Halloween make over. In this house, one of the staple snacks is chips and salsa. I made these pumpkin chips by cutting them out with my smallest pumpkin cutter and tossing them in the air fryer for 6 minutes! Don't worry they are not pumpkin flavored. 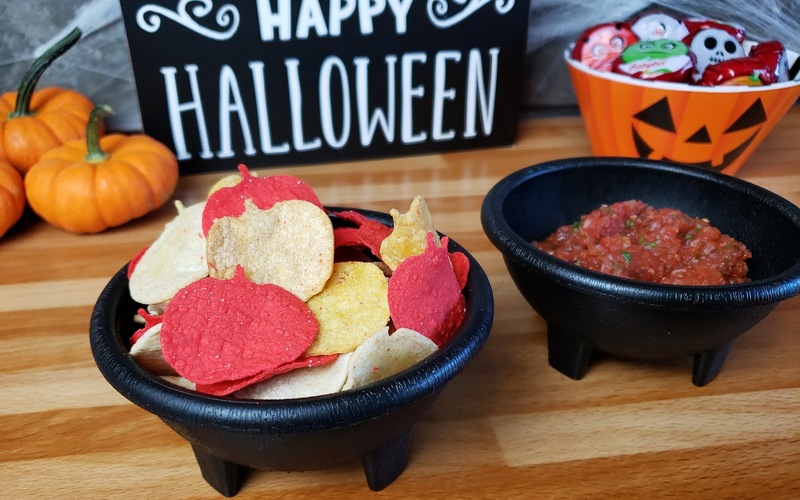 But the white, yellow and red tortillas almost gave them a candy corn-ish look. The possibilities are endless. Pumpkin shaped sandwiches were a hit. I mean lets be honest, you know most kids are tossing their crusts out anyways! This way its fun and festive and they are happy to have that crust out of the way! Maybe I'm just cheesy but I get such a kick out of changing things up a little. Speaking of cheese, you know what else is cheesy and screams Halloween?! 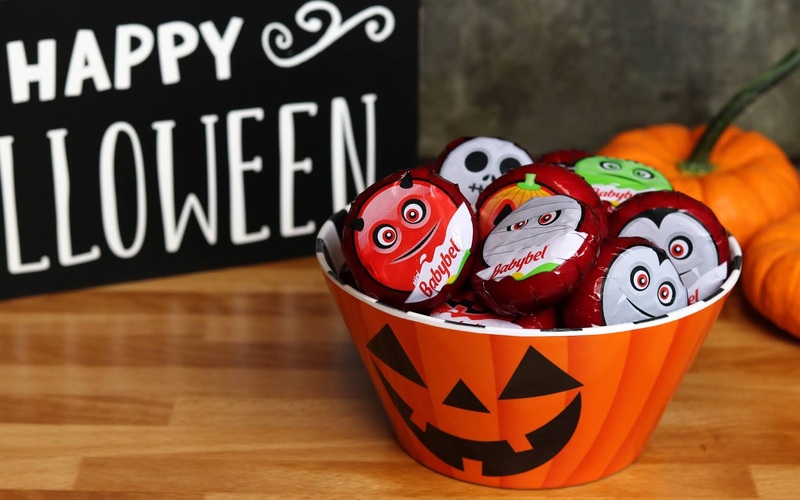 These spooky Mini Babybel® cheeses. They are great snacks just as they are! Fill up a festive bowl full, set them in the fridge and they just magically disappear. 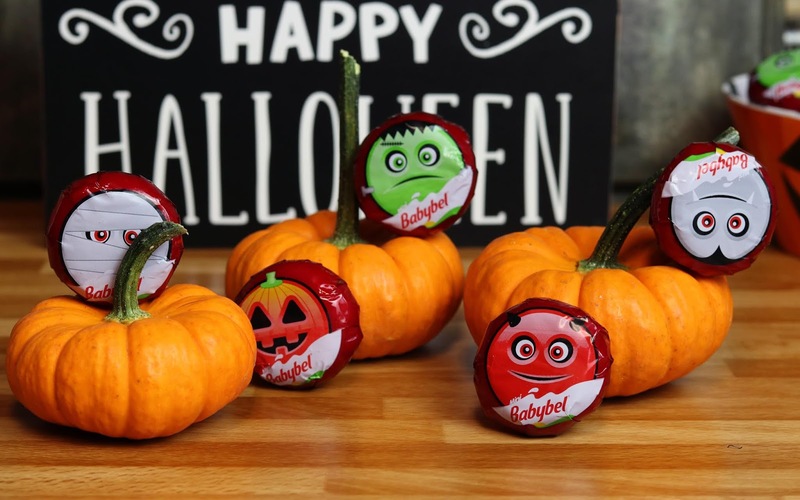 We unwrapped some of our BabyBels, which is fun in itself by the way, and cut them in half to make little sandwiches with. Little eyeball sandwiches. Eating eyeballs was the highlight of these boys day! Aren't they just the cutest! The best part is they are all treat and no tricks. Made with 100% cheese! I can't decide which one is my favorite. 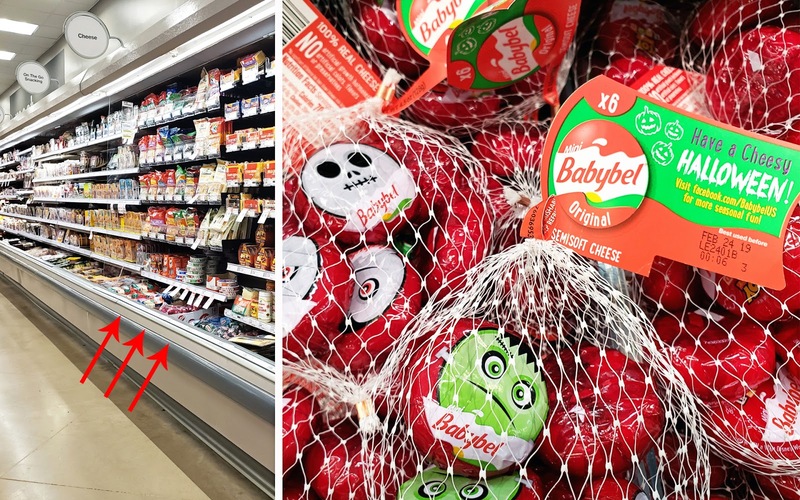 Right now there is a 10% off Mini Babybel® deal going on now so stop by your local Target and grab up some of these spooky treats before they are gone. The weather isn't the only thing changing! Do you change up you snack ideas with the seasons? What are some of you favorite Halloween treats?